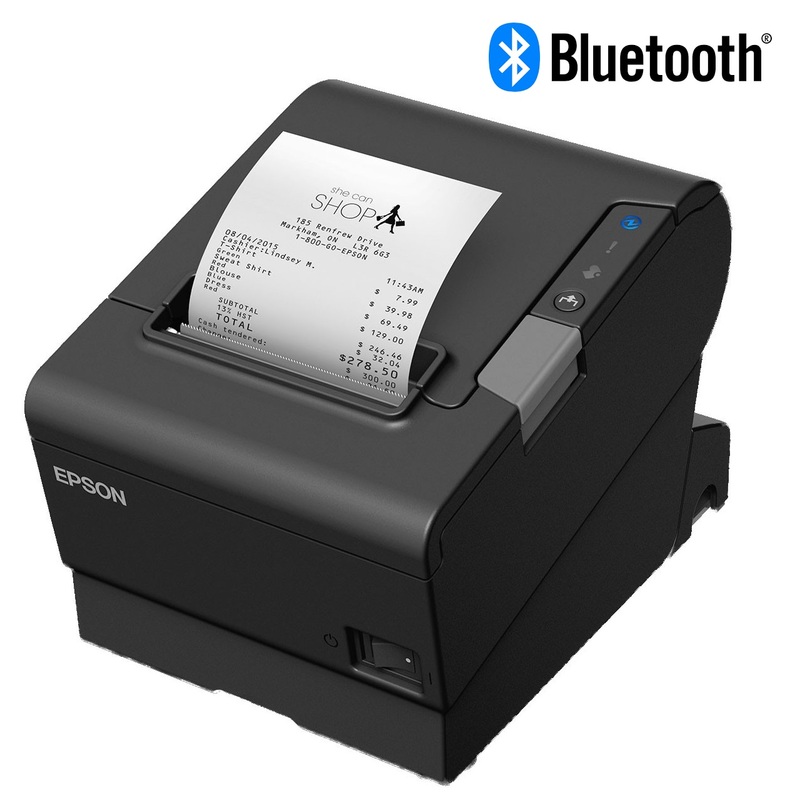 Pair your Tablet or device with the Epson TM-M30 Bluetooth Thermal Receipt Printer. The TM-M30 Bluetooth Printer is simple to connect wirelessly to your device. Pair you device or tablet with the Epson Tm-m30 Bluetooth Receipt Printer! 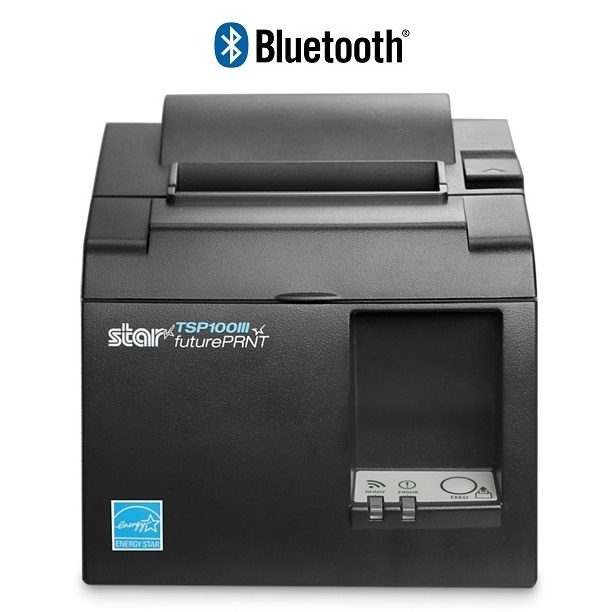 Print receipts wireless with your compatible software with this sleek 3 inch receipt printer ideal for tablet POS environments. The TM-M30 is compatible with iPad software including Kounta, Loyverse, MobiPOS and a range of other POS Software vendors on the market. Please ensure you do check the device and software compatibility to ensure it is going to work. You can also contact our POS Team. Epson's innovative ePOS-Print technology means the TM-m30 can quickly, easily and seamlessly integrate with any PC, tablet, laptop or mobile device via a Wi-Fi or Bluetooth interface. Whether the device is running iOS, Android, Windows CE or Windows mobile, direct printing from the web browser becomes possible without the need to install or update any other drivers. NFC connectivity (Near Field Communication), means the TM-m30 can be easily paired with tablets and smartphones. Simply bring the devices close together to make the connection. For added convenience and flexibility, pairing by QR code is also possible. The 'Easy Setting Functionality' on the TM-m30 creates an access point for connecting smart devices. Once implemented, both devices can be easily set-up and configured on a wireless network for instant use. Designed to match the dimensions and colours of the TM-m30 printer, the DM-D30 customer display retains a stylish, integrated look and feel when in use. This adaptable option can be connected to the printer via the USB A port and, if a Wi-Fi dongle is required on the TM-m30, this can be invisibly connected behind the DM-D30. Mount the printer quickly and securely to any wall or vertical surface with the optional wall mounting bracket. By simply swapping just two printer covers, the TM-m30 converts from a horizontal to a vertical solution, maximising space even in the smallest retail environments. Please ensure you check the compatibility with the software you will be using before purchasing.